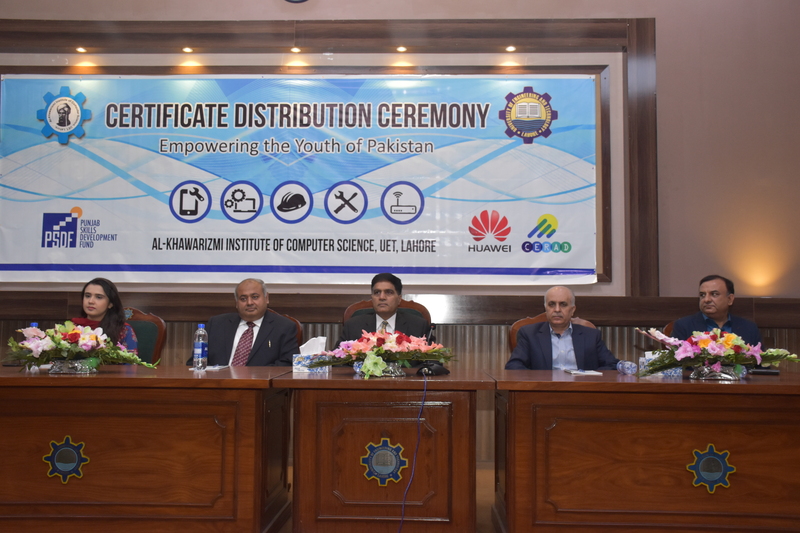 Al-Khawarizmi Institute of Computer Science (KICS) UET Lahore organized a certificate distribution ceremony for trainees, funded by Punjab Skills Development Fund (PSDF). A total of 173 trainees, completing their training courses, received their certificates. These trainings were imparted in seven pass out classes including Solar Wind & UPS Assemble Training, Website Design and Development, Mobile Application, Programmable logic controller (PLC), Telecommunication Technologies (Huawei) and Networking Technologies (Huawei). 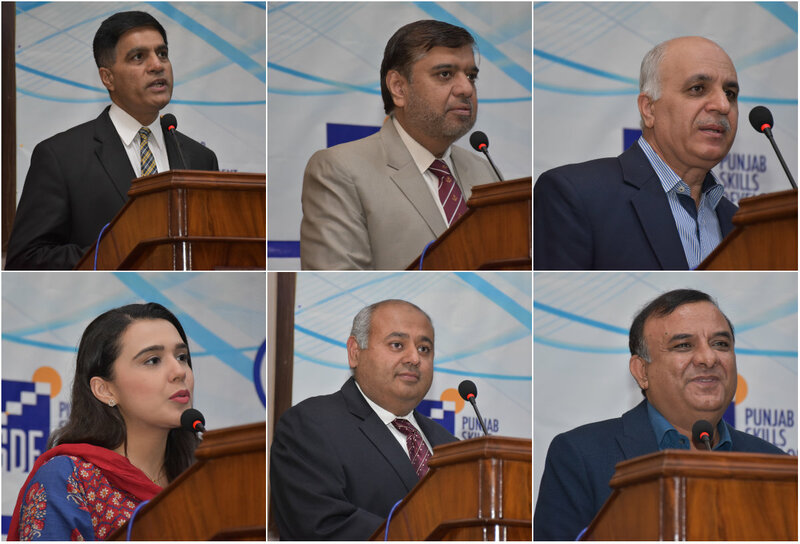 Vice Chancellor UET Prof. Dr. Fazal Ahmad Khalid, Director KICS Dr. Waqar Mehmood, General Manager NM PTCL Mr. Abdul Waheed, Channel Manager Huawei Pakistan Mr. Shahzad, Director Powersoft Mr. Zeeshan Khan and Project Director Solartec Mr. Col Irfan Aslam from were also present at the occasion. 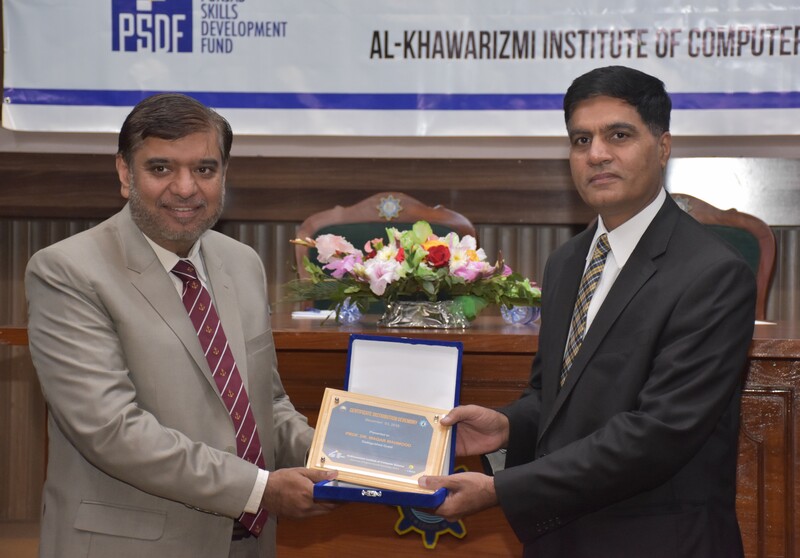 Vice Chancellor Prof. Dr. Fazal Ahmad Khalid said expressed his gratitude over the efforts by the chairman. 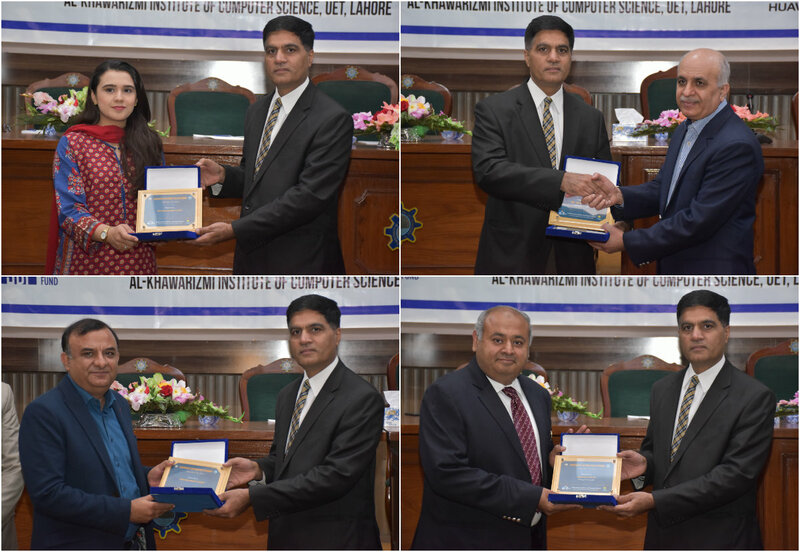 He said, “Vision of these training is to shape the future and well-being of our poor and vulnerable youth by giving them access to skills training of the highest standards, so they can find sustainable employment and income-generating opportunities in Pakistan and beyond.” At the end of event Vice Chancellor Prof. Dr. Fazal Ahmad Khalid distributed plaques among guests and Managers.